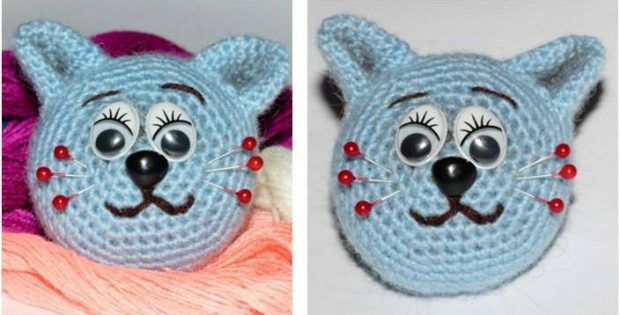 Make this ultra cute crocheted cat pin cushion your next weekend project. This useful crochet item is a must-have for every crafter! Create one for yourself or give as a gift. Craft-loving friends will definitely melt in its irresistible cuteness! The pattern contains detailed written instructions for one size. As always, you can tweak the directions to make the crocheted cat pin cushion any size you desire. This charming crocheted piece is another wonderful design by the talented crafters over at DIY 100 Ideas. In fact, you can access the FREE pattern for this crocheted cat pin cushion from their website. Featured image: DIY 100 Ideas – thank you!